"The Chosen People? 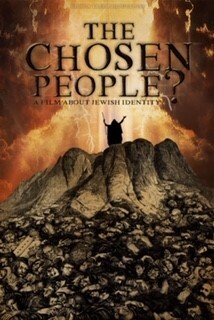 A Film About Jewish Identity"
Movie and discussion of "The Chosen People?" sponsored by the Lifelong Learning Committee. Do you feel uncomfortable with the idea of being the chosen people? What does it mean to be chosen? How has this notion of chosenness changed over time? Why does the belief in chosenness remain so powerful among religious people in the 21st century? These are some of the questions explored in the new film, "The Chosen People? A Film About Jewish Identy." Please join the Lifelong Learning Committee on Sunday, March 3, at 3:00 pm, to view this movie. This film traces the history and evolution of chosenness. It explores this central tenet of Judaism, that Jews are God's chosen people. There are interviews with Rabbi Arthur Green, Deborah Waxman and many others from across the Jewish spectrum to illuminate the complexities of Jewish identity today. This is a provocative film that probes the question of what it means to be God's chosen people. The filmmaker, Josh Gippin, states, "My mission has always been that this film project be an act of Tikkun Olam - helping bring peace and unity to the world through better understanding of a belief which, historically, has been extraordinarily divisive - the belief that one group is chosen by God to the exclusion of all others." There will be a discussion after viewing the film. Please RSVP to let us know you will be there.